Hello and welcome. Can you believe it is February already. Time is marching on. But the good news is, it's a new month so that means two new Tutorial Bundles you can get for FREE. First up is the February SimplyStampz Tutorial Bundle. To get this one, you just need to order from me. No minimum purchase required. Every single order qualifies. Here is a little sneak peek of all the projects. The second amazing Tutorial Bundle you can get for FREE is the Stamping Around the World bundle. 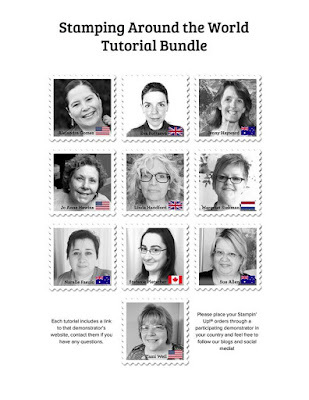 Ten very talented demonstrators from all around the world have come together to create this amazing bundle. The card sneak peek at the top of the page is just one of the creations. To get this tutorial bundle for FREE you just need to place a minimum $78 order and it's yours. Or you can purchase the bundle outright for $20 here. 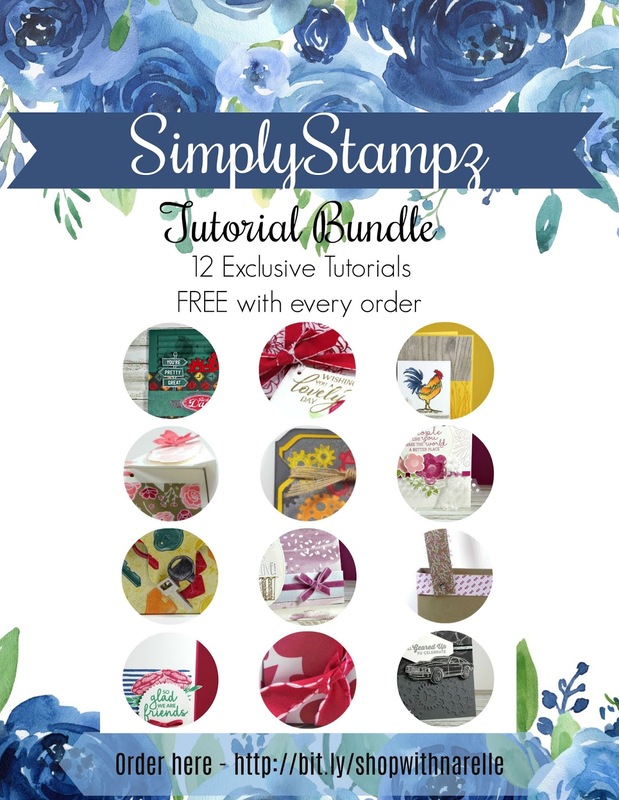 The only other way to get both of these amazing tutorials bundles for FREE, without having to order, is to join my team. I appreciate every single one of my team members and like to spoil them. One way I do this, is to give them every single tutorial from every class I do or collaboration I am involved in. My team get hundreds of FREE tutorials every year. So if this sounds like something you would love to get as well, just join my team here.